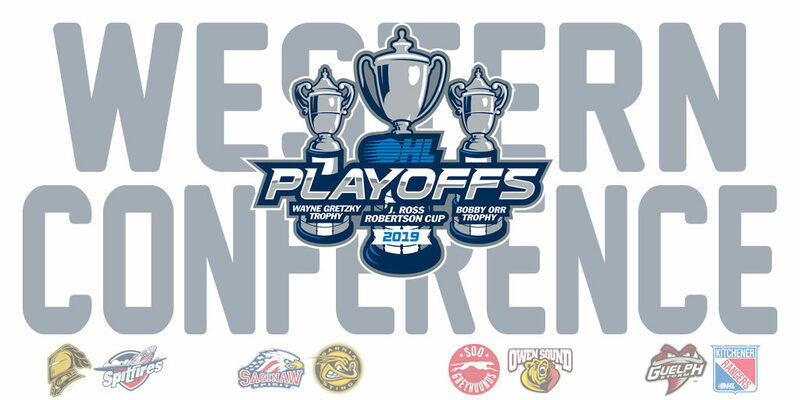 The Western Conference playoff picture is set as eight teams embark on the 2019 OHL Playoffs on Thursday night. Here’s a look at the four different series matchups. 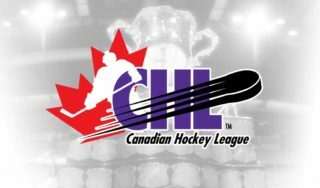 One of the OHL’s classic rivalries, the London Knights and Windsor Spitfires meet in the first round of the 2019 OHL Playoffs. Two highly athletic brothers square off as London’s Liam Foudy (36-32–68) lines up across from younger brother Jean-Luc (8-41–49) of the Spitfires who led the league in rookie assists. 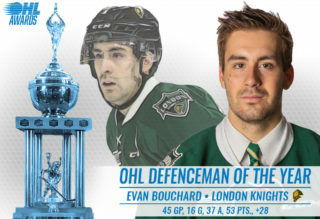 Featuring a highly mobile blue line with big point producers in captain Evan Bouchard (16-37–53) and smooth skating Swede Adam Boqvist (20-40–60), the Knights have also proven to be capable on the defensive side, owning the league’s top-ranked penalty kill that operated at 85.8%. 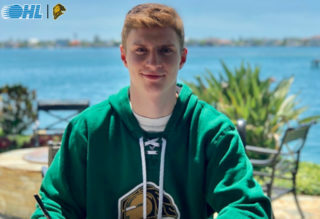 Knights overage centreman Kevin Hancock racked up 107 points (52-55–107) and led the OHL in shots on goal this season with 329, playing a in league-high 70 games as the result of a mid-season trade from Owen Sound. As is typically the case, NHL scouts have flocked to London once again this season to get a glimpse of sophomore centreman Connor McMichael who wrapped things up with 72 points (36-36–72) over 67 games. 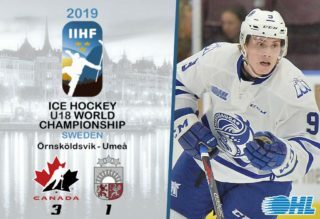 McMichael competed in the Sherwin-Williams CHL/NHL Top Prospects Game this past January and was the 28th ranked North American skater on NHL Central Scouting’s Midterm Draft Rankings. The underdog Spits have three holdovers from their 2017 Memorial Cup championship team in captain Luke Boka (12-20–32) alongside top scorer Cole Purboo (29-26–55) and Vegas Golden Knights prospect Connor Corcoran (10-22–32) on the blue line. The aforementioned Foudy has found success alongside fellow rookie and 26-goal scorer Will Cuylle (26-15–41) this past season while third-year forward Tyler Angle (20-24–44) and sophomore Daniel D’Amico (21-25–46) have also chipped in offensively. Not a player any defenceman wants to go into the corner with, 6-foot-9, 250Ib. Dallas Stars prospect Curtis Douglas (27-26–53) lit the lamp 27 times this season and provides the Spitfires with an imposing presence up front. This marks the fifth time in the past 11 years that the Knights and Spitfires have met in the OHL Playoffs. The London Knights and Windsor Spitfires have an extensive history against each other in the OHL Playoffs. This marks the 11th time the two teams have faced each other. – 2017 – LDN def. WSR 4-3 – 1st round / 2014 – LDN def. WSR 4-0 – 1st round / 2012 – LDN def. WSR 4-0 – 1st round / 2009 – WSR def. LDN 4-1 – Western Conference Final / 2005 – LDN def. WSR 4-0 – 2nd round / 2004 – LDN def. WSR 4-0 – 1st round / 2003 – LDN def. WSR 4-3 – 1st round / 1991 – WSR def. LDN 4-3 – 1st round / 1985 – LDN def. WSR 8-0 pts. – 1st round / 1979 LDN def. WSR (9-game series, both teams advanced to round robin after protest and both lost to Niagara Falls). *Game 5, Fri., March 29 at London – 7:30 p.m.
*Game 6, Sun., March 31 at Windsor – 2:05 p.m.
*Game 7, Tues., April 2 at London – 7:00 p.m.
Who will win the first round series between #LDNvsWSR? It’s been an exciting season in Saginaw as the Spirit skated to a franchise record 45 wins, capturing their first West Division title since 2011. When the Spirit and Sting have met this season, meetings have more often than not resulted in high-scoring outcomes, with Saginaw scoring at least six times in each of the past three encounters. While the additions of Owen Tippett (33-41–74), Ryan McLeod (19-43–62) and defensive veterans Justin Murray (12-28–40) and Reagan O’Grady (10-8–18) have equipped the Spirit for a playoff run, rookie winger Cole Perfetti (37-37–74) is making headlines in Saginaw. The 17-year-old set a Spirit franchise record this past season with 37 goals by a rookie, tying Tippett for the team’s scoring lead. The highly disciplined Spirit were the league’s least penalized team this past season. They’re backstopped by reigning Vaughn OHL Goaltender of the Month Ivan Prosvetov who owns a league-leading .924 save percentage and 19-5-1-1 record since January 1st. Sarnia has been high-scoring in all situations this season, leading the OHL with 22 shorthanded goals. Swedish winger Hugo Leufvenius (37-44–81), veteran captain Ryan McGregor (25-52–77), rookie standout Jacob Perreault (30-25–55) and Vancouver Canucks free agent signing Mitch Eliot (17-38–55) give Sting head coach Derian Hatcher several options. 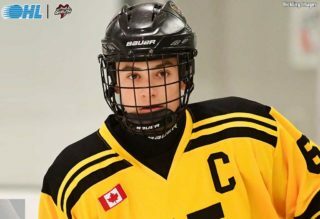 NHL Draft prospect Jamieson Rees (10-22–32) was limited to 37 games this past season and recently returned from suspension, but is among Sarnia’s most talented names. On the downside, the Sting were also one of four OHL teams to surrender 300 goals this past season, a facet of their game they’ll have to get under control should they hope to see the second round of the OHL Playoffs. The Saginaw Spirit and Sarnia Sting meet for the second time in OHL Playoff history. *Game 5, Sat., March 30 at Saginaw – 7:05 p.m.
*Game 6, Sun., March 31 at Sarnia – 4:05 p.m.
*Game 7, Tues., April 2 at Saginaw – 7:05 p.m.
Who will win the first round series between #SAGvsSAR? The Soo Greyhounds and Owen Sound Attack meet in the OHL Playoffs for a third straight year following a pair of highly entertaining series that went both ways. With captain Barrett Hayton (26-40–66) back to full health and top scorer Morgan Frost (37-72–109) back from suspension, the Greyhounds are a force to be reckoned with once again. Overager Keeghan Howdeshell (46-31–77) potted 46 goals this past season, the most by a Greyhound since 1996-97. Sault Ste. Marie forwards aren’t the only ones getting involved as head coach John Dean activated his blue line this past season, getting 77 points (24-53–77) out of the OHL’s top defensive scorer Mac Hollowell while former OHL champion Jordan Sambrook (17-32–49) was also a factor. The health of starting goaltender Matthew Villalta is worth monitoring. The Los Angeles Kings prospect was injured in the second-last game of the season. When he’s on, Villalta is one of the league’s best as evidenced by his 98 career regular season wins in just 133 games. Across the ice, a much younger Attack group than the past two playoff meetings is going to give the Greyhounds their best shot. Owen Sound played to an 8-11-2 record under interim head coach Alan Letang to end the year, doing so without prominent names in Nick Suzuki, Markus Phillips and Sean Durzi who joined the Guelph Storm in January. The Attack will play with speed in the series, bringing fleet-footed competitors in top scorer Aidan Dudas (26-36–62) and midseason additions in Adam McMaster (17-34—51), Barret Kirwin (21-22–43) to the ice. After getting his first taste of the Greyhounds last spring, sophomore netminder Mack Guzda is a year older and more experienced. The Attack will need him to come up big in this series. This marks the seventh time and the third straight year that Sault Ste. Marie and Owen Sound have met in the OHL Playoffs. *Game 5, Fri., March 29 at Sault Ste. Marie – 7:07 p.m.
*Game 6, Sun., March 31 at Owen Sound – 7:00 p.m.
*Game 7, Tues., April 2 at Sault Ste. Marie – 7:07 p.m.
Who will win the first round series between #SSMvsOS? After an intense six-game series last spring, the Guelph Storm and Kitchener Rangers renew acquaintances in their Highway 7 rivalry. Though Guelph finished 18 points ahead of Kitchener in the Midwest Division, the season series between the two clubs was very close with the Rangers taking three of the last four meetings. It’s a tale of two teams really. The Rangers are among the smallest teams in the league, bringing speed, skill and the league’s top-ranked power play, one operating at 29%. Led by Dallas Stars prospect Riley Damiani (30-55–85) and undrafted free agents Greg Meireles (36-61–97), Joseph Garreffa (32-55–87) and Jonathan Yantsis (50-23–73), this year’s edition of the Rangers scored more goals than last year’s Midwest Division champions. The Guelph Storm are a bigger, more experienced group led by the unit of Nick Suzuki (34-60–94) between Nate Schnarr (34-68–102) and Isaac Ratcliffe (50-32–82). They bring a little bit of everything with the addition of the Western Conference’s top defensive forward MacKenzie Entwistle (30-27–57) as voted on by the league’s coaches as well as big 6-foot-5 37-goal scorer Liam Hawel (37-41–78). Defensively, Edmonton Oilers prospect Dmitri Samorukov (10-35–45) joins power play quarterback Sean Durzi (11-26–37), Canadian National Junior Team representative Markus Phillips (5-21–26) and physical 6-foot-7 competitor Fedor Gordeev (7-25–32) in front of 19-year-old goaltender Anthony Popovich. The Storm remains without hard working winger Keegan Stevenson (19-15–34) but recently saw the return of Pavel Gogolev (10-18–28) to the lineup for the final weekend of the season. It’s always intense when the Rangers and Storm get together. Buckle up for a hard-fought series. This marks the fifth time and the second straight year that Guelph and Kitchener have met in the OHL Playoffs. *Game 5, Fri., March 29 at Guelph – 7:30 p.m.
*Game 6, Sun., March 31 at Kitchener – 6:00 p.m.
*Game 7, Tues., April 2 at Guelph – 7:00 p.m.
Who will win the first round series between #GUEvsKIT?